With Earth Day just around the corner, many businesses are wondering how they can help make a positive impact on Mother Earth. Going green is not only good for the environment, it also boosts employee morale and helps differentiate your business from the competition. 1.Rethink the morning commute: What’s your office policy on telecommuting? You might want to reconsider allowing employees to work from home at least a few days per month. Telecommuting helps improve air quality in our cities and reduce energy costs in the office. Studies show that employees are just as productive, if not more, when working from home. Adopting this policy could also mean a more efficient and motivated workforce for your company. 2. Reduce paper waste: An easy way to reduce costs and waste is to go digital whenever possible. Increasing the opportunities to store information digitally on shared sites and drives make it easy for employees to access information without relying on a multitude of printed copies. When you do print, make sure to use the smallest font possible (while still being legible) to reduce the quantity of pages and ink needed. These simple changes will help the environment and your bottom line. 3. Use green cleaning products: Green cleaning products are made with environmentally friendly ingredients which are designed to preserve human health and environmental quality. Using this type of products will go a long way in protecting your employees and cleaning staff from harmful chemicals, creating a healthier workplace. 4. Fill your office with plants: By introducing as little as one plant per every three people, you can greatly improve air quality in the office by reducing dust, mold, bacteria and CO2 that would otherwise be inhaled by your staff. Plants will also filter out fumes from manmade toxins in furniture, carpets and paint. Plants can also help create a better work environment and reduce stress. With all these benefits combined, you can count on them as your allies in reducing illness and absenteeism throughout the year. Aloe, spider plants, cacti, succulents, and Ivy are all good options to bring into the office. 5. 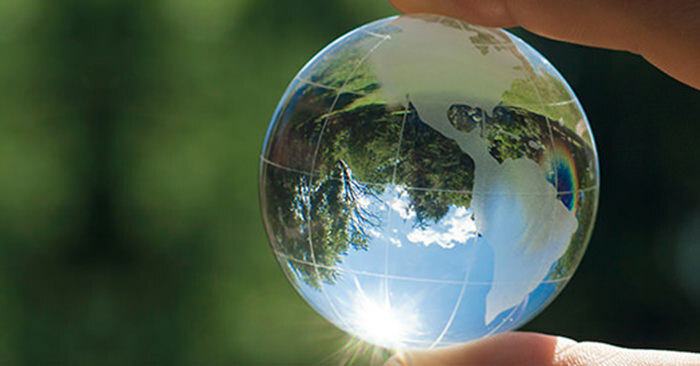 Host an Earth Day event: Organizing a special event to commemorate Earth Day can be a great way to show your company’s commitment to an eco-friendly lifestyle. One simple idea to get started is to give out branded reusable grocery bags to staff, customers and vendors. You can add your company logo and a special message like “Be the change you want to see in the world. Earth Day 2016”. This small token will reduce the amount of plastic bags in landfills as well as promote your company name. No matter what kind of event you organize, big or small, the most important thing is to become an agent of change in your community. Your business has the opportunity to inspire, ignite passion and motivate people to act. Remember every day is Earth Day!